I am delighted to announce that Adam Jowett, assistant Regimental Secretary to The Parachute Regiment, has been appointed liaison to Friends of The Tenth. 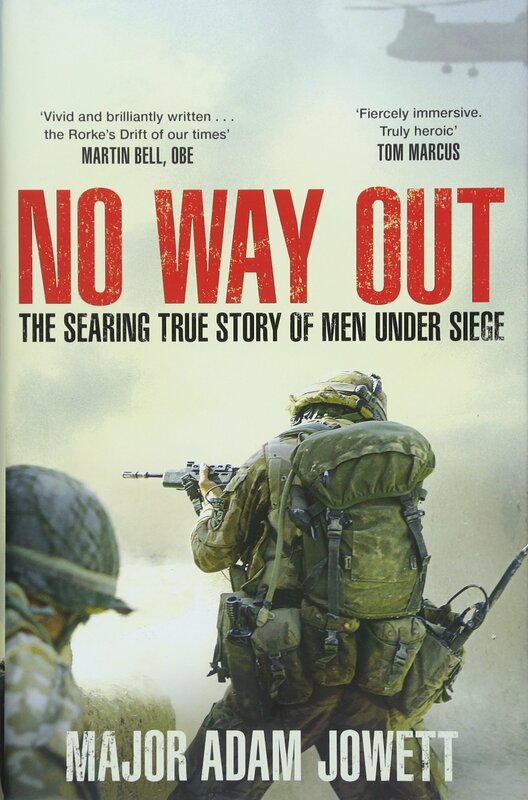 Wanting to know more about Adam, I bought a copy of his recent book ‘No Way Out’. The story of Easy Company, which Adam commanded, defending the District Centre compound of Musa Qala, Afghanistan, against overwhelming odds in 2006. You must buy and read this remarkable book! A spellbinding story by a great storyteller. If a 21st Century Para can understand what it was like during the last stand of the 10th Bn in Oosterbeek then it must be Adam. One of those books so riveting that I read it from cover to cover after I had turned the first page. It is relentless, it has the pace and tension of the very best novels but it is, of course, a true story. I recommend this book on so many levels, yes, a ripping yarn but so much more. An up close look at the fighting spirit exemplified by these incredibly brave men and their ultimate loyalty to each other. An insight into the agonising decisions of command. An understanding of the nature of Afghanistan and the Taliban, a deadly and fanatical enemy.